The rapid advent and adoption of mobile devices, has given rise to a completely new level of consumer expectation. Gone are the days when merely providing your consumers with 24×7 access to information gave you the edge above your competitors. Travelers today expect their favorite travel brands to deliver instant information and services, based on their contextual needs, at all times. One of the main factors that differentiates a great travel app from a good one, is the seamless integration of contextual intelligence into the app experience. This is where beacons come into the picture. Of recent, many hotels and airlines have deployed these proximity-detection devices to tap into a traveler’s precise location and empower him/her with the right information at the right time. Contrary to popular belief, beacons don’t calculate location. They intelligently deliver promotions and messages by measuring the proximity of a traveler to the beacon itself. This helps travel brands to ensure that the relevancy of delivered information is well aligned with the intent of the traveler. We’ve answered a few Beacon FAQs in one of our earlier blog posts. Today, most travelers already use beacon powered mobile apps for on-the-go guidance, be it at the airport, destination hotel or major attraction sites such as museum, stadium etc. But the main pain point here is that, this information is spread across multiple apps. For example, with the Virgin Atlantic app, The James hotel app and the New Museum app, installed on his/her mobile, a traveler already has three different pieces of information to process. An effective solution to this is to have travel brands share beacons so that they could associate their own mobile apps to them, as and when required. In this post we will discuss how hotel brands, airline groups, car rental services, and major attraction sites such as museums, stadiums etc could partner together to integrate beacons with their mobile strategy, and offer an enhanced connected travel experience that is tailored to the preferences of a traveler. Pushing the right offer at the right time has now become more important than ever. To put this to use, you can deploy beacons at various locations around the terminal, such as security gate, waiting lounge etc. The meta-data, including information on longitude and latitude, as well as scenario-specific data such as information on terminal, flight boarding times etc, will be made available at a common airport registry. Your app will then use this information to determine the precise location of the traveler. Once the beacon data indicates that the traveler has cleared the security check, you can trigger messages offering discounted seat upgrades to business class from economy. In most cases, it’s the beacon data that holds the key to contextual intelligence. For example, in this case, knowing that your traveler has cleared security helps you ensure that he is more open to considering an offer. With beacons you can trigger messages asking a traveler to proceed for security check. And while he is directed to the private security channel in real-time via your app, you can trigger another notification prompting him to open his digital boarding pass and keep it ready to be scanned at the security area and also advise him on when the passports need to be presented. Beacons play a crucial role in cross-selling or up-selling various products and services at airports. For example, when a traveler enters the terminal, you can use a beacon at the entrance to trigger different offers based on his/her transaction history, status of his flight and how busy the airport is. Moreover, once they are at the airport, there are higher chances that, travelers may be interested in ancillary purchases such as a day pass to the airline lounge on account of delay of flight or access to priority check-in etc. One of the best use cases of beacon powered mobile apps is floor maps. For example, if a traveler is running late, you can direct him to the nearest security check channel via the shortest routes using your app. Similarly, once a traveler reaches his destination airport, you can use beacons to direct him to the place where he can avail car-rental service too. This is particularly useful when it comes to car-rental services. For example, Silvercar, a popular car-rental service, has beacons built into their car, enabling travelers to unlock the car, pop the trunk, and begin the service using Bluetooth LE via their app. When the traveler returns the car, the app automatically logs the end of the rental, and measures the gas level before sending him an invoice. You can also use the ability of beacons to recognize a traveler and store data on his preferences such a favourite radio stations, places he has checked into the GPS etc., to personalize his drive. This is particularly simple, when the car rental service is based on a one car model, as in the case of Silvercar which uses the Audi A4. Beacons can help you trigger notifications regarding cultural events and locations such as theme parks, museums, restaurants etc, as and when the traveler happens to pass by them. They can also be used to create interactive maps of tourist attractions thus allowing you to navigate travelers between sightseeing locations. After a traveler has automatically checked-in using beacons at the entrance, a digital key is sent to his smartphone via your app. This allows him to easily bypass the front desk and proceed directly to his room without having to wait for long. 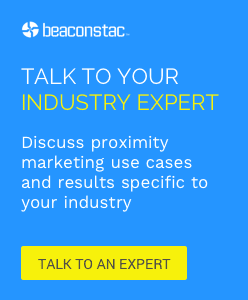 Here again beacons have another crucial role to play. Once the traveler is in close proximity to his room, it is picked up by the beacon which then unlocks the room door, giving him a keyless entry to his room. A perfect example of this would be the Starwood Hotels & Resorts at Manhattan and Silicon Valley. The hotel group recently leveraged beacons to allow travelers who have installed the Starwood Preferred Guest (SGP) App on their mobile device, to unlock their room doors using a virtual key received by them on their iPhone. Most hotels, save on energy by leveraging a system that requires travelers to swipe a key-card in order to switch on the lights in the room. Beacons on the other hand, allow travelers to use their own mobile device to control the TV, lighting and temperature in their room. You could also use beacons to let them have a look at the menu and place an order for room services. 9. Contextual Information about the city : Though beacons are best known to push information and offers, you need to ensure that you don’t overwhelm your travelers with too many offers as it may nudge them to uninstall your app. This can be done by leveraging beacons to deliver specific information to the mobile devices of travelers, based on their current location. These bits of information could vary from virtual tours, useful tips and itineraries with family to warnings on specific locations when required. 10. Enhance public transport services: When it comes to public transport, beacons can help you provide a range of improvements for travelers, by making it easier for them to locate public transportation vehicles in real time. You can use these proximity-detection devices to deliver messages on any delay in arrivals and other real-time schedules such as information on incoming vehicle and its location with respect to the traveler. Adding on to that, it also allows them to plan an optimum route by means of public transport based on the given destination. Thus sharing beacons allows travel brands to offer an enhanced connected travel experience with ease.